Posted April 13, 2019 by Lyn & filed under Vaping. Regular vapers love to have their vapes almost everywhere they go. Most vapers even pack extra e-juice and batteries just to make sure they have their e-cigarette when they need it. Fortunately, there are no many restrictions to carrying around e-cig except for one place that has stirred mixed reactions: the airplane. It’s disturbing for vapers given that thirty years ago, plane occupants (both crew and passengers) used to light up cigarettes during airline flights. However, the idea didn’t go down well with non-smokers. The changes started in the 1980s when protests from one flight attendants’ union influenced the U.S. federal authorities to prohibit in-flight smoking. By the early 90s, cigarettes had been banned on many local flights, and a few years later all flight companies around the globe completely banished smoking during flights. 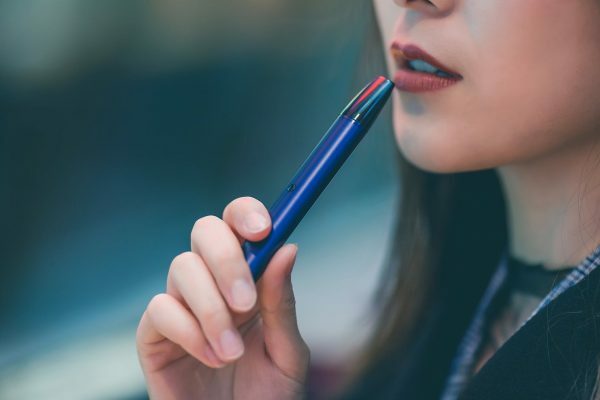 E-cigarettes are gaining popularity at a time when indoor smoking and cigarettes are banned in most airports except for a few with smoking zones. 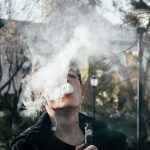 But airlines are realizing that smokers and vapers are as important as other passengers, and they are looking for more ways to accommodate them. One of the major reasons why vaping during flights is a concern is the Batteries used in e-cigs. The batteries are made of Lithium-Ion, the same chemical that led to restrictions in travelling with laptops, tablets, and smartphones. However, you shouldn’t be surprised if you see the TSA target vapes. In other words, you can still carry while vapes travelling. Lithium-ion batteries are only prohibited in checked baggage. But then again, that is no reason to worry because you can still carry them to your flight in a carry-on or laptop bag. Also, be sure to keep the batteries in a proper casing or in the mod. And remember to take your mod and batteries out of your bag or pocket during security checks, the same way you’d do with your phone or laptop. If your laptop or carry-on bag must be checked at the gate, make sure to remove the mod, batteries and extra cells. 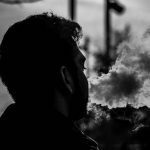 Just as you surrender your wallet, or remove your belt for inspection, the same processes apply for vapes in some air companies. As with any other liquid, the Sept. 2006 “3-1-1 Liquid Carry-On” rule applies for travelling with e-juice. It states that you cannot carry to a plane a container of liquid holding more than 100 mL (or 3.4 ounces) of liquid. So, you need to bring only a small bottle of e-juice— anything from 10ml or 40 ml is okay. Additionally, all these bottles must be carried in clear 1 quart, zip-lock bag. A tank full of E-juice should be emptied or put in the same bag with other liquids. If you’re carrying a dripper module, then you are safe because this form of atomizer does not store a volume of E-juice within it. Get more information here about the different types of atomizers. Like we’d stated earlier: you can enjoy your mod on the plane. Why not, vapers may ask? Well, there are a couple of explanations. And they make sense if you mull over them. Reason number one; the lithium-ion batteries. Though smoking tobacco causes an apparent fire hazard (and that’s why it was banished), today anti-vaping groups and airline unions have portrayed lithium-ion as a fire hazard too. And with news of all sorts of devices exploding going around social sites and topping world headlines, we can’t ignore the calamity caused by such events. So, while you are allowed to have your batteries on the airplane, you can’t use it, which means your mod stays in your bag or pocket until the plane touches down. Reason number two; the vapour. Nine out of ten people consider any smoke they see coming out of someone’s mouth, as originating from a cigarette. Well, if this is so, then many passengers would worry about fire hazards which is not good for a flight. Don’t even think about it. While you may go unnoticed by anyone, the advanced smoke detectors in the plane won’t miss the huge cloud you create. This again would cause worries when alarms begin to sound on a plane cruising at 30,000 ft. It is advisable to hold on a few more hours, and then you can vape all you want when you finally land. If you aren’t into moving around the whole kit, then there’s the choice of carrying E-1 Disposable Vaporizers. This device keeps everything you need in a compact, easy-to-use disposable e-cigarette that does not require juice refills or battery replacements. Bring along a few E-1s in your carry-on baggage to avoid the need to carry too much stuff and liquid. Here’s everything to keep in mind when looking to carry your vaporizer to a plane. Failure to adhere to these rules may land you in problems with the authorities. Keep your atomizer, mod, atomizer, batteries, and any extra cells, in a carry-on, bag or your pocket and remove them for a checkup when asked to. Do not carry anything more than 100ml of liquids (including E-juice, toiletries) in your 1-quart, zip-lock bag. 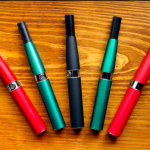 If you aren’t into taking the entire kit, try E-1 disposable vaporizers! And finally, please, don’t vape while on air. Wait until you land! Going by the book is very important to you and the vaping community because you don’t want your equipment confiscated or be the reason people press for the outright interdiction of vape items from airplanes. It will also ensure you have an easy time passing the security checks because you’ll have adhered to the regulations. Some airports have set aside smoking lounges for vapers and smokers to use before a flight or after touching down while others have a strict no smoking or vaping policy. Be sure to inquire before you go chucking smoke in the air. No one wants to leave their kit behind before a flight.